February 27, 2019 Respawn’s Star Wars Jedi: Fallen Order will get its proper reveal in April. 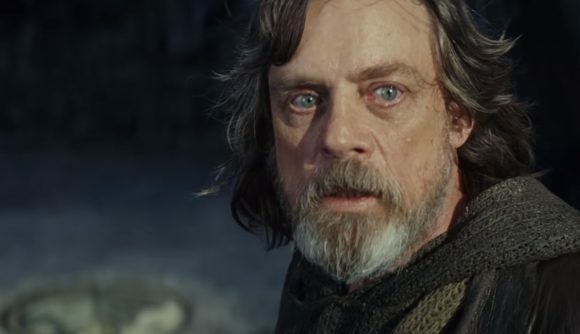 We knew a proper reveal of Star Wars Jedi: Fallen Order was coming up, but now we know exactly when – and it’s not as late as we feared. Respawn’s take on the Star Wars universe will make its debut at the Celebration convention in Chicago. EA and Respawn will “pull back the curtain” on the game during a panel on Saturday, April 13. Sadly, that’s all the detail for now – we’ve known since the E3 announcement about the plot info discussed in today’s official blog post. Essentially, “gamers will meet a Padawan who survived Order 66 and explore the galaxy in the time after the fall of the Jedi Order.” We’ve yet to learn anything more official than that, though some Fallen Order leaks hint at more plot details. Speaking on EA’s financial call earlier this month, EA CEO Andrew Wilson said we will get to see the first glimpses of Fallen Order “in the next few months.” We thought that might’ve meant the publisher’s pre-E3 showcase, but thankfully we won’t have to wait all the way until June. As a big, big fan of Star Wars Jedi Knight II: Jedi Outcast and Dark Forces, I am terribly excited for any game that might pluck at the same heart strings.